These Terms and Conditions, and the related Forms and web pages they reference, constitute a legal Agreement between You the end user and Hong Kong uCloudlink Network Technology Limited or its affiliate who is the actual service provider (“ UCLOUDLINK”). UCLOUDLINK shall make every effort to provide a high level of availability for its GlocalMe Service. 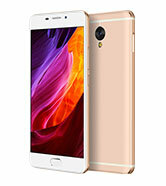 However, UCLOUDLINK is unable to guarantee continuous, fault-free operation of its mobile data Service or certain transmission times or capacities. UCLOUDLINK reserves the right to service its mobile data Service at any time, which may result in temporary disruptions. No representations or guarantees are made in respect of availability, quality, operation or support for data communication on third-party networks. No guarantee may be given for absolute protection of UCLOUDLINK's Service against unauthorized access or interception. UCLOUDLINK shall assume no liability for any such occurrence. UCLOUDLINK may at any time adapt or interrupt its services. UCLOUDLINK may engage at any time a third party to fulfil any of its obligations under this contract. You will be charged UCLOUDLINK's standard rate for the Services unless agreed in writing with UCLOUDLINK. The UCLOUDLINK Service operates on a pre-pay basis and you will be prompted to pay these rates in advance. A full list of UCLOUDLINK's rates for standard Services is published at www.glocalme.com. These rates may be changed from time to time, entirely at UCLOUDLINK's discretion, so you should check the UCLOUDLINK website regularly to determine if any changes have been made or announced. If you have no credit in Your Account you will be unable to initiate a data session. If you need assistance regarding the GlocalMe Service, please email service@ucloudlink.com. Your account will appear to be inactive if it has not been used for eighty days. You can contact us to reactive the account if you need to use it again. Room O-P,6/F Wai Cheung Industrial Centre, 5 Shek Pai Tau RoadTuen Mun, New TerritoriesHong Kong, China. 3 Allow 10 working days for refund to be processed.4 UCLOUDLINK will reply to your request with an outcome by email.5 If a refund has been approved, the amount will be credited back to the credit card or Paypal which was originally used for purchase for pre-pay. Please send your returns in by courier or post only once you have received confirmation from UCLOUDLINK- please note that we strongly advise you to use a secure registered and tracked service. If goods are not sent by a registered and tracked service lost good will be your responsibility. The cost of returning the goods is your responsibility. Please note that all returns will be sent to our quality department for testing. Please note if returning goods we require the original invoice. Without this information we will be unable to identify the returned package as yours and we will not be able to process the return/ refund. 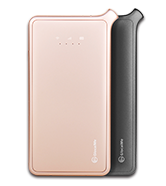 All devices are sold on a non-return basis and may only bereturned for credit if found to be faulty within 30 days of dispatch fromUCLOUDLINK and provided that the following conditions are fully met. UCLOUDLINK reserve the right to reject returns for credit, ifreturned goods are found not to meet these requirements, all goods will bereturned to you at your own cost and NO Credit will be issued. 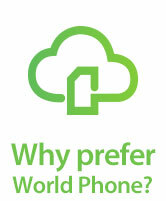 UCLOUDLINK reserve the right to reject returns for credit anydevices where the IMEI does not match box and device or the device isdamaged or in poor condition. All return costs will be covered by UCLOUDLINK. Credit will only be issued upon completion of the above processand once the product has been returned back to us. UCLOUDLINK reserves the right to reject any NFF (No FaultFound) and the unit will be returned to you at your cost. NFF (No Fault Found) are units that when tested the reportedfault or any fault could not be reproduced. Please note that all returns will be sent to our qualitydepartment for testing. 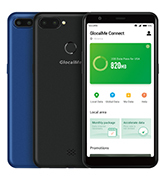 Any device which has been used to avail ofGlocalMe services will not be accepted as a return under the DistanceSales regulations and will be returned to you within 7 working days (thisdoes not affect your statutory rights under the Sale Of Goods Acts). Please note if returning goods we require the original invoiceor your full name and address. Without this information we will be unableto identified a returned package as yours and we will not be able toprocess the return/refund. When re-packaging the goods, you need to ensure you haveincluded the complete set of product items (including accessories,instruction manual and/or additional items that we originally sent to you,including any free gift. Please retain proof of posting. The goods remain yourresponsibility until they are received by us. You may not assign your rights under this agreement unless expressly agreed by UCLOUDLINK. UCLOUDLINK may assign our rights under this agreement to any company that controls UCLOUDLINK or that UCLOUDLINK controls. 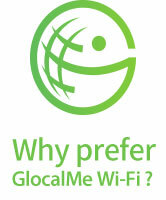 GlocalMe is a registered trademarks of UCLOUDLINK in Hong Kong. The GlocalMe logo and UCLOUDLINK are trademarks of UCLOUDLINK. If you have any complaints about the service, You should send them in the first instance to service@ucloudlink.com. While we will endeavour to provide the service with minimum disruptions, we cannot guarantee a fault free Service and You agree to accept the service 'as is'. We reserve the right to suspend the service for technical, operational or other reasons. UCLOUDLINK reserves the right to withdraw this service and any additional services at its sole discretion. THE SERVICE IS PROVIDED ON AN 'AS IS' BASIS, AND YOUR USE OF THE SERVICE IS AT YOUR OWN RISK. UCLOUDLINK DOES NOT MAKE, AND HEREBY DISCLAIMS, ANY AND ALL WARRANTIES OF ANY KIND, WHETHER EXPRESS OR IMPLIED, INCLUDING, BUT NOT LIMITED TO, ANY WARRANTY OF FITNESS FOR A PARTICULAR PURPOSE; MERCHANTABILITY; TITLE OR NON-INFRINGEMENT; OR ANY WARRANTY ARISING FROM ANY COURSE OF DEALING, USAGE OR TRADE PRACTICE. UCLOUDLINK DOES NOT WARRANT THAT THE SERVICE WILL BE UNINTERRUPTED, ERROR-FREE, OR COMPLETELY SECURE. We reserve the right to make changes to these terms and conditions. You should check the UCLOUDLINK website regularly to see if any changed have been made or announced. We will endeavour to provide 30 days advance notice of significant changes, either by posting such notice on our website, or by contacting you directly. If you do not notify us within 30 days of a change then You will have been deemed to accept this change to this Agreement. UNDER NO CIRCUMSTANCES AND UNDER NO LEGAL THEORY (WHETHER CONTRACT, TORT (INCLUDING NEGLIGENCE), STRICT LIABILITY OR ANY OTHER THEORY WHATSOEVER), SHALL UCLOUDLINK BE LIABLE FOR ANY DAMAGES YOU MAY SUFFER FROM OR IN CONNECTION WITH YOUR USE OF, OR INABILITY TO USE, UCLOUDLINK'S NETWORK OR EQUIPMENT, OR THE SERVICE. THIS LIMITATION INCLUDES, BUT IS NOT LIMITED TO, DAMAGES RESULTING FROM LOSS OR THEFT OF DATA; TRANSMISSION DELAYS OR FAILURES; SERVICE INTERRUPTIONS; UNAUTHORIZED ACCESS OR DAMAGE TO RECORDS, SOFTWARE PROGRAMS OR OTHER INFORMATION OR PROPERTY; LOSS OF PROFITS; COST OF COVER; OR ANY OTHER SPECIAL, INCIDENTAL, CONSEQUENTIAL, DIRECT, INDIRECT OR PUNITIVE DAMAGES, HOWEVER CAUSED. THIS LIMITATION WILL APPLY EVEN IF UCLOUDLINK HAS BEEN ADVISED OF, OR IS AWARE OF, THE POSSIBILITY OF SUCH DAMAGES. BECAUSE SOME STATES OR OTHER JURISDICTIONS DO NOT ALLOW THE EXCLUSION OF CERTAIN WARRANTIES OR CERTAIN FORMS OF LIABILITY, SOME OR ALL OF THE EXCLUSIONS SET FORTH IN THIS AGREEMENT MAY NOT APPLY. IF ANY OF SUCH EXCLUSIONS ARE NOT ALLOWED UNDER THE LAWS OF A PARTICULAR STATE OR OTHER JURISDICTION FOR ANY REASON, THEN UCLOUDLINK'S MAXIMUM LIABILITY FOR ANY TYPE OF DAMAGES WITH RESPECT TO UCLOUDLINK'S NETWORK, EQUIPMENT, OR SERVICES SHALL BE LIMITED TO THE AMOUNT OF MONTHLY SERVICE CHARGES PAID BY CUSTOMER TO UCLOUDLINK HEREUNDER FOR THE TWELVE (12) MONTH PERIOD PRIOR TO THE OCCURRENCE OF THE EVENT GIVING RISE TO SUCH LIABILITY. UCLOUDLINK DOES NOT AND CANNOT CONTROL THE QUALITY OF OTHER PARTIES' NETWORKS TO WHICH UCLOUDLINK MUST INTERCONNECT. THEREFORE, UCLOUDLINK DISCLAIMS ANY AND ALL LIABILITY THAT MAY ARISE FROM THE PERFORMANCE, INCLUDING FAILURE, OF OTHER PARTIES' NETWORKS. THE SERVICE CHARGE CREDITS LISTED IN THIS SECTION ARE THE SOLE AND EXCLUSIVE REMEDIES AVAILABLE TO YOU FOR ANY FAILURE BY UCLOUDLINK TO COMPLY WITH ITS OBLIGATIONS UNDER THIS AGREEMENT, WHETHER SUCH FAILURE RESULTS IN DOWNTIME, NETWORK CONGESTION OR OUTAGES, OR ANY OTHER SERVICE FAILURE. These Terms and Conditions and additional terms and conditions as explicitly identified on the UCLOUDLINK website constitute the entire Agreement between You and UCLOUDLINK . Should any terms of the Agreement be declared void or unenforceable by any arbitrator or court of competent jurisdiction, such terms will be amended to achieve as nearly as possible the same economic effect as the original Agreement, and the remainder of the Agreement will remain in full force and effect. UCLOUDLINK will not be liable for any failure to perform under this Agreement caused, directly or indirectly, by factors beyond its reasonable control, including any acts of God, earthquake, flood, embargo, riot, war, sabotage, terrorist attack, labour shortage or dispute, governmental act or failure of any third-party service or network. You and UCLOUDLINK understand that regulators, or other bodies of competent legal jurisdiction may impose regulations on IP-based services. If new regulations are imposed on UCLOUDLINK, UCLOUDLINK is authorized to make changes to this Agreement that reflect the new regulations, and will post such changes on its corporate website and may in addition send email/SMS notices to its customers. UCLOUDLINK retains the right to pass on to you any new regulatory fees or taxes that may be imposed by law or regulation. If you are in China, this agreement is governed by the laws of China; if you are outside of China, this agreement is governed by the laws of Hong Kong. Should a court of competent jurisdiction find that any provision or portion of this Agreement to be unenforceable, the remainder of the terms included herein will continue with full force and effect. Your goods may be subject to the customs fees and import duties of the country to which you have your order shipped. These charges are always the recipient's responsibility and are completely beyond our control.